During President Bill Clinton's first and second terms of office, he nominated 24 people for 20 different federal appellate judgeships but the nominees were not processed by the Republican-controlled Senate Judiciary Committee. Three of the nominees who were not processed (Christine Arguello, Andre M. Davis and S. Elizabeth Gibson) were nominated after July 1, 2000, the traditional start date of the unofficial Thurmond Rule during a presidential election year. Democrats claim that Senate Republicans of the 106th Congress purposely tried to keep open particular judgeships as a political maneuver to allow a future Republican president to fill them. Of the 20 seats in question, four were eventually filled with different Clinton nominees, fourteen were later filled with Republican nominees by President George W. Bush and two continued to stay open during Bush's presidency. Senator Harry Reid, the Democratic leader of the United States Senate during the 110th Congress, and Senator Patrick Leahy, the Democratic leader of the Senate Judiciary Committee under Reid, repeatedly mentioned the controversy over President Clinton's court of appeals nominees during the controversy involving the confirmation of Republican court of appeals nominees during the last two years of Bush's second term. Republicans claimed that Democrats were refusing to confirm certain longstanding Bush nominees in order to allow a future Democratic president in 2009 to fill those judgeships. During his presidency, Clinton also nominated 45 people for 42 different federal district judgeships who were never confirmed by the United States Senate. Robert Raymar (of New Jersey), to seat vacated by H. Lee Sarokin - Judgeship later filled by Clinton nominee Maryanne Trump Barry. Stephen Orlofsky (of New Jersey), to seat vacated by Morton Ira Greenberg - Judgeship later filled by Bush nominee Michael Chertoff. Robert J. Cindrich (of Pennsylvania), to seat vacated by Timothy K. Lewis - Judgeship later filled by Bush nominee D. Brooks Smith. Andre M. Davis (of Maryland), to seat vacated by Francis D. Murnaghan, Jr. - Davis was nominated on October 6, 2000, during the final months of the Clinton presidency. The Senate took no action on the nomination, which was returned to the President on December 15, 2000. After Clinton's unsuccessful nomination of Davis, President George W. Bush unsuccessfully nominated Claude Allen and Rod J. Rosenstein to succeed Judge Murnaghan. Davis was renominated to the same seat by President Barack Obama in April 2009 and confirmed that year in November. James A. Beaty, Jr. (of North Carolina), to seat vacated by James Dickson Phillips, Jr. - Judgeship was eventually filled by Obama nominee Albert Diaz of North Carolina. James A. Wynn, Jr. (of North Carolina), to seat vacated by James Dickson Phillips, Jr. - Judgeship never filled by any Bush nominee; Wynn was renominated by President Barack Obama to the same seat in November 2009 and was confirmed by the Senate in August 2010. S. Elizabeth Gibson (of North Carolina), to seat vacated by Samuel James Ervin III - Gibson was nominated on October 26, 2000, during the final months of the Clinton presidency. The Senate took no action on the nomination, which was returned to the President on December 15, 2000. The judgeship was later filled by Bush nominee Allyson Kay Duncan. J. Rich Leonard (of North Carolina), to newly created seat - Judgeship later filled by Clinton nominee Roger Gregory (of Virginia) after being renominated by Bush in 2001. Alston Johnson (of Louisiana), to seat vacated by John Malcolm Duhé, Jr. - Judgeship later filled by Bush nominee Edith Brown Clement. Jorge Rangel (of Texas), to seat vacated by William Lockhart Garwood - Judgeship later filled by Bush nominee Priscilla Owen. Enrique Moreno (of Texas), to seat vacated by William Lockhart Garwood - Judgeship later filled by Bush nominee Priscilla Owen. Helene White (of Michigan), to seat vacated by Damon Keith - Judgeship later filled by Bush nominee Richard A. Griffin; White was eventually confirmed to the Sixth Circuit when renominated by Bush in 2008. Kathleen McCree Lewis (of Michigan), to seat vacated by Cornelia Groefsema Kennedy - Judgeship later filled by Bush nominee Susan Bieke Neilson. Kent Markus (of Ohio), to seat vacated by David Aldrich Nelson - Judgeship later filled by Bush nominee Jeffrey S. Sutton. Bonnie Campbell (of Iowa), to seat vacated by George Gardner Fagg - Judgeship later filled by Bush nominee Michael J. Melloy. James Ware (of California), to seat vacated by J. Clifford Wallace - Judgeship later filled by Clinton nominee Kim McLane Wardlaw. Barry Goode (of California), to seat vacated by Charles E. Wiggins - Judgeship later filled by Bush nominee Carlos T. Bea. James E. Duffy, Jr. (of Hawaii), to seat vacated by Cynthia Holcomb Hall (of California) - Judgeship later filled by Bush nominee Richard Clifton (of Hawaii). James Lyons (of Colorado), to seat vacated by John Carbone Porfilio - Lyons was nominated on September 22, 1999. Both Senators from Colorado, Ben Nighthorse Campbell and Wayne Allard, were members of the Republican Party. Senator Campbell was supportive of the Lyons nomination, but Allard withheld his support and described Lyons as a "political operative" due to his representation of the Clintons during Whitewater. Lyons' nomination was withdrawn on June 6, 2000. Clinton subsequently nominated Christine Arguello, also unsuccessfully. The judgeship was later filled by Bush nominee Timothy M. Tymkovich. Christine Arguello (of Colorado), to seat vacated by John Carbone Porfilio - Arguello was nominated on July 27, 2000, shortly after Clinton withdrew his earlier nomination of James Lyons. The Senate took no action on the nomination, which was returned to the President on December 15, 2000. The judgeship was later filled by Bush nominee Timothy M. Tymkovich. Arguello was eventually confirmed to a district court seat when nominated by Bush in 2008. Charles "Bud" Stack (of Florida), to seat vacated by Peter T. Fay - Judgeship later filled by Clinton nominee Stanley Marcus. Elena Kagan (of the District of Columbia), to seat vacated by James L. Buckley - Judgeship later filled by Bush nominee John G. Roberts, Jr.
Allen Snyder (of Maryland), to seat vacated by Patricia Wald - Judgeship later filled by Bush nominee Thomas B. Griffith. While not a controversy, one other Clinton appellate court nominee, Barbara Durham, withdrew before being confirmed, but not because of Republican opposition. Rather, Durham, a conservative jurist whom Clinton nominated to the United States Court of Appeals for the Ninth Circuit as part of a deal with then-Washington Sen. Slade Gorton, withdrew because of illness. 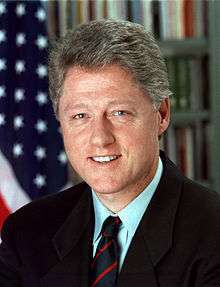 Clinton instead nominated Republican lawyer Richard Tallman of Seattle to the seat to which he had nominated Durham, and Tallman was confirmed in 2000. While he was never formally nominated to the United States Court of Appeals for the District of Columbia Circuit, Peter Edelman was strongly considered by Clinton for a seat on that appeals court in late 1994. After the influential Republican member of the U.S. Senate Judiciary Committee Sen. Orrin Hatch informed Clinton that he had intended to oppose Edelman's nomination, Clinton dropped plans to nominate Edelman to the D.C. Circuit, choosing Merrick Garland instead. In its November 1997 issue, the American Spectator reported that President Clinton had intended to nominate Teresa Wynn Roseborough in 1997 to a vacant seat on the United States Court of Appeals for the Eleventh Circuit after Judge Phyllis A. Kravitch took senior status. The American Spectator noted, however, that Sen. Orrin Hatch, the then-chairman of the U.S. Senate Judiciary Committee, had "balked" at the idea of Roseborough, who was one of four finalists (the others were Leah Ward Sears, Clarence Cooper and Frank M. Hull) and had "suggested that a more moderate Clinton-appointed U.S. district judge, Frank Hull, would have clear sailing." Indeed, Frank M. Hull was confirmed by the Senate in a 96-0 vote in September 1997. During his presidency, Clinton nominated 45 people for 42 different federal district judgeships to federal district courts who never were confirmed by the U.S. Senate. Like the appellate court nominations mentioned above, many of these nominees were blocked by Republicans either in the Senate Judiciary Committee, which was controlled by Republicans for six of the eight years of Clinton’s presidency, or on the Senate floor, where one nominee, Ronnie L. White, was defeated by senators. Of the 42 federal district judgeship vacancies in question, 17 eventually were filled with different Clinton nominees, 24 were filled by nominees of President George W. Bush and one never ended up becoming vacant because the district judge holding it never received confirmation to be elevated to an appellate court. Of Clinton's 45 failed district court nominees, four, Legrome D. Davis, David S. Cercone, Dolly M. Gee and Sue E. Myerscough, subsequently were nominated by Presidents George W. Bush and Barack Obama to federal district judgeships and then confirmed by the Senate. John D. Snodgrass (judgeship later filled by Clinton nominee Charles Lynwood Smith, Jr.